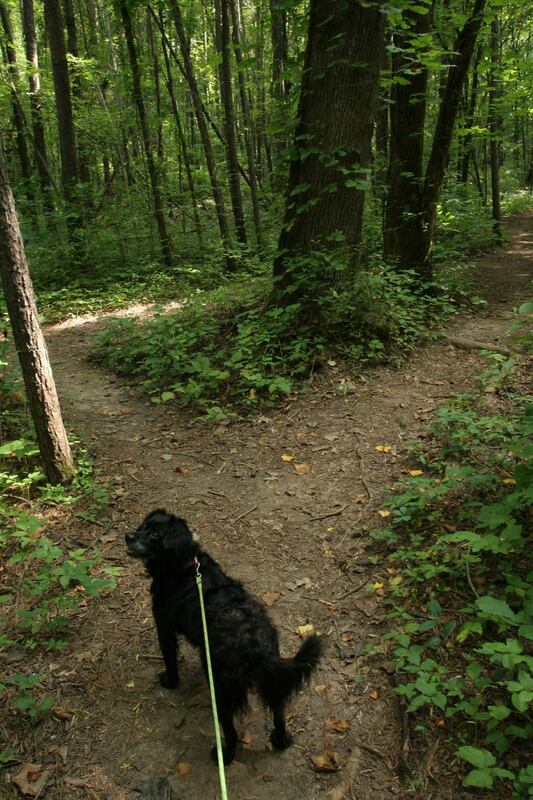 Nature preserve offering more than 11 miles of trail with scenic vistas, waterfalls and wildflower displays. Wade Mountain received National Recreation Trail status in 2011. Trail contains several steep sections, with loose rock underfoot. With two trailheads, most users will probably opt for shorter half day hikes, though a variety of loops provide much longer outings, if interested. Wildflowers are at their best in Spring and Summer. 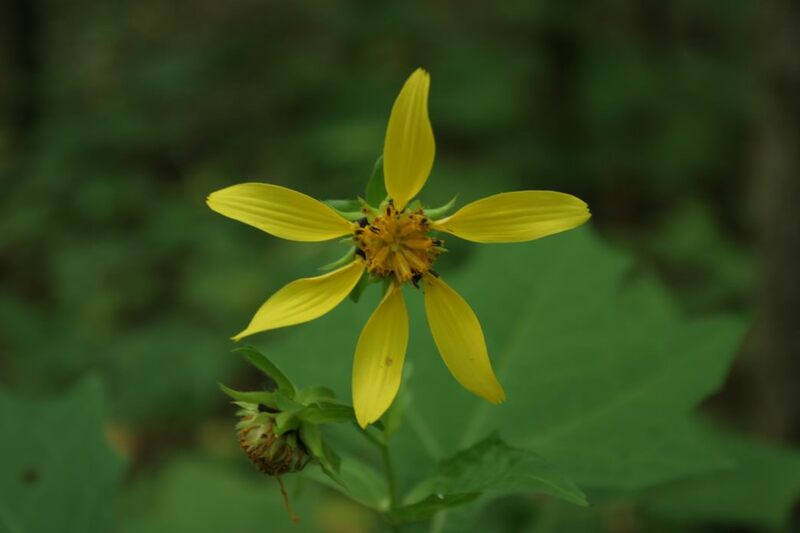 One of five land preserves owned and maintained by the Land Trust of North Alabama, Wade Mountain Preserve has set aside 843 acres of upper woodland forest, capped with the “Devil's Racetrack”, a semi-arid micro-climate with unique wildflowers and numerous fossils. Offering scenic views and a quiet respite on the north side of town, the preserve earned a National Recreation Trail designation in 2011. Visitors will also enjoy the numerous caves and two seasonal waterfalls. 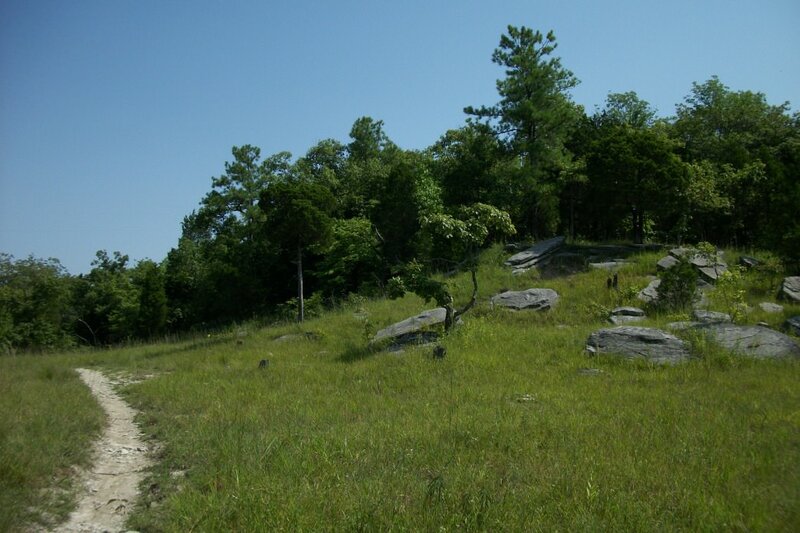 Wade Mountain is also the only preserve that allows horseback riding. With a trailhead on either side of the mountain, your adventure can begin with a hard grind or an easy stroll. Set out from the Spragins Hollow trailhead on the south side up the steep Devil's Racetrack Trail, or use the short Piney Loop Trail as your warm up before the steep climb. You'll pass several social trails that lead off to various caves, but be aware of preserve boundaries as some land is still private. Take a break on one of the benches here and enjoy a view down into the hollow itself. If you're tired of the incline,hang a left on the Rock Wall Trail and pass Smithers Spring, the headwaters of Pinhook Creek which flows through downtown. Loop back on the Shovelton or Harris trails to reach the Devil's Racetrack,with great views north of Huntsville and the American Columbo, which only blooms every few years. 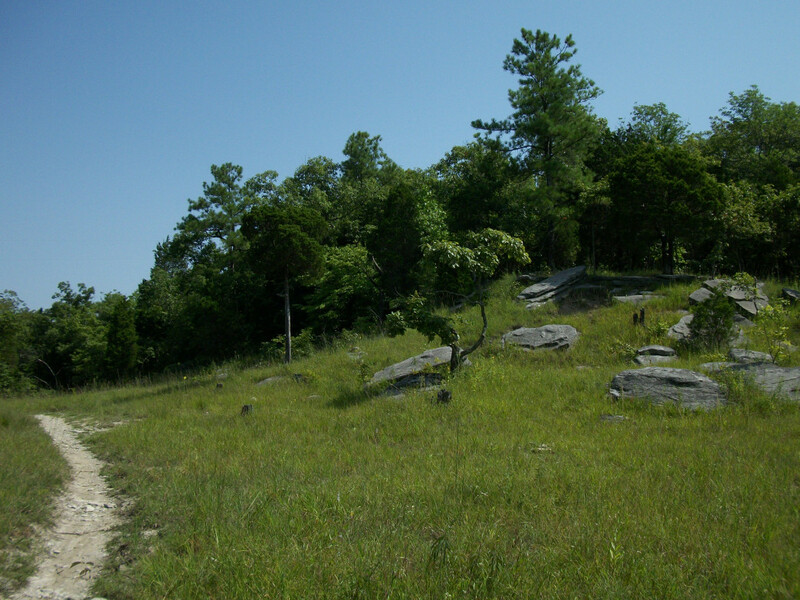 The Wade Mountain Trail crosses the summit and continues downhill on the west side of the mountain, which offers the Wade Mountain Greenway. Stop to see one of the waterfalls off of the Bostick Trail, and take some easily accessible sinks along the Cotton Valley Trail before finishing your journey. With almost 11.5 miles of trail, there's enough here to keep those interested in long distance hiking interested, despite being closed to camping. Families will enjoy an easier stroll from the Wade Mountain Trailhead, offering 1.25 miles of paved greenway bordered by a lush field and a hidden stream. You'll want to watch your footing anywhere on the mountain, especially the uphill sections as the terrain is steep at times with loose rock. Brave the steep section though, and reward yourself with some of the easier trails following the lay of the land. No camping, fires, or rappelling. Pets welcome, but must remain on leash. Please practice Leave No Trace Principles. Directions: From downtown, take Memorial parkway north past Alabama A&M, cross Winchester Road and take the first left turn, Hollow Road. Follow Hollow Road west to Spragins Hollow Road, following it until you see the parking area on your right.